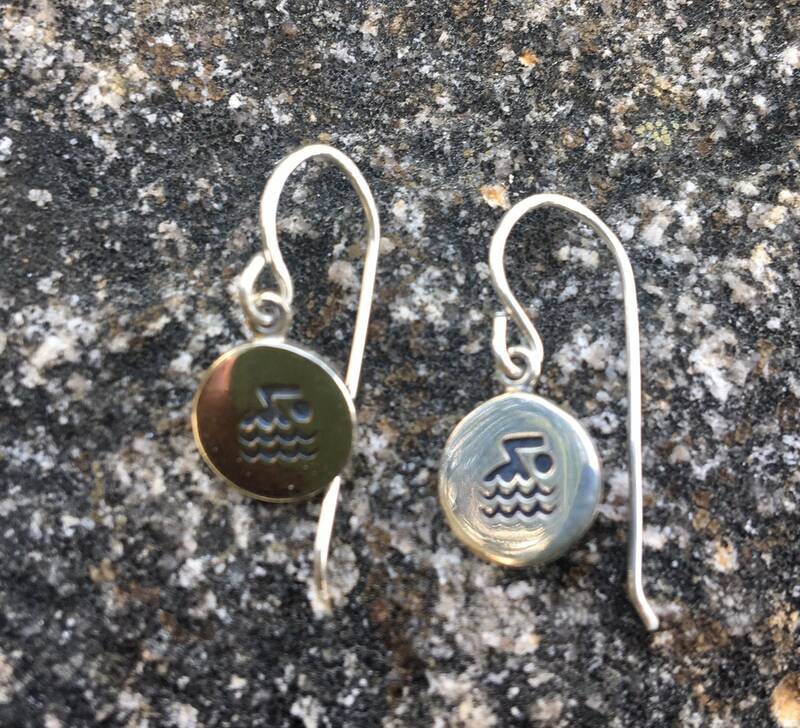 These solid sterling silver earrings each have a swimmer going for the win! 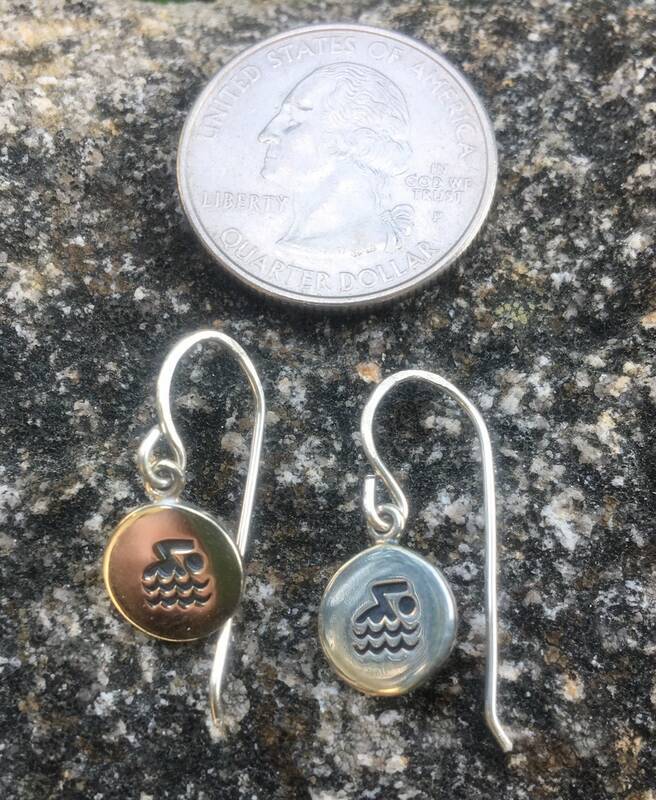 I hand created sterling silver earring wires for each of these. 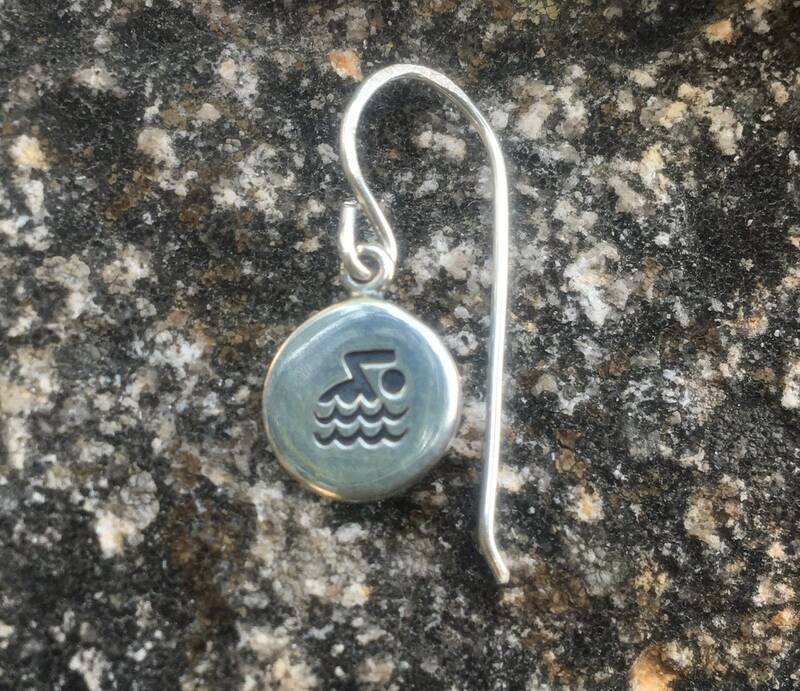 These earrings measure 15/16" long from the top of the wire to the bottom of the charm. Entirely sterling silver.